I’m going to write about Rafael Nadal winning Wimbledon another evening during this brutally hot week. For now, there are other things I need to address, but there is something elemental about his struggles and achievement in all of this – at least I suppose so. As someone who has spent the majority of his youth trying to understand the impossibility of friendship rather than comprehend the fathoms of love, I again found myself, the day after the Fourth of July, staring into the azure blue of the deep end of my childhood pool and cleaning dirt and mulch from the shimmering bottom. This isn’t to say that I never enjoyed cleaning my pool – in fact I always have loved it in some strange way. I’ve loved it because you can stand outside in the heat, away from your neighbors and listen to the radio in private. You can become the shrieking heretic in “Sympathy for the Devil,” or the snide hipster of “Like a Rolling Stone,” and then when you’re done, you can jump in the pool, submerge the heat and the sounds of the radio, only to emerge once more, pleasantly surprised by the heat of the air and the slick feeling of your hair as you push it or flick it back on your head. Then, if you choose to, you can get out and touch the soles of your feet to the bricks that your parents paid for to surround the pool. Or, if you choose to, you can simply float. Jay Gatsby was shot in a pool, but I was never anything like him, though I did think I could’ve made an admirable Nick Carraway. What I always admired about the whole mess that led to Gatsby’s demise, besides the idea of creating an image of yourself and building an identity in America, was the illusive notion of friendship that Nick Carraway seemed to identify with the Gatsby. This idea was recently resuscitated with an almost equal level of eloquence by Joseph O’Neill in his novel Netherland. These are both novels about men who are lost and who are able to find out truths about themselves by making acquaintances with two different criminals. Gatsby is by all means a high level bootlegger and gambler as we are led to believe, while Chuck Ramkissoon runs an intricate but low-level Caribbean “lottery” throughout New York City. These narrators, Nick Carraway and Hans, are both looking to make an identity for themselves in New York, and have lost touch or have chosen to the lose touch with the places they came from. For Nick, that is the Midwest, for Hans it is London and his native Netherlands. Hans actually has a wife that he is estranged from, where Nick Carraway looks for love with the distant, independent, and modern female tennis player (see, I told you Nadal was in here!) Jordan Baker. Because their love lives are unreliable, they look to notions of friendship they find in unreliable males. Both Hans and Nick are able to find the sensations of masculinity in male friendship in both Gatsby and Chuck Ramkissoon: feeling privileged to be in the other’s company, the sense of adventure of moving about in the world with the other, the sense of sharing a similar desolation, the ability to drink a beer in the sun and share a private moment. However, each one is left grasping at what their friendship meant or could have done after their “friend” has been murdered in each story. Nick Carraway tells us in the beginning of The Great Gatsby that he wants no more “privileged glimpses into the hearts of other men.” That, in essence, is what male friendship boils down to. These similar tropes have been seen in the work of Jack Kerouac, whom I think in the 21st century should be madatory reading for elementary school boys instead of Treasure Island and that kind of book. The Duluoz Legend of Keroauc’s mind’s eye represents the what should be the new “adventure book.” Kids know about all the dirty things earlier now anyway, why should they not read about unbridled enthusiasm and driving across the country, climbing mountains, driving in cars, when they are young and are forced to be driven around by their parents. No one wrote better about a fall day coming home from school and eating peanut butter crackers with milk than Kerouac anyway. He was a maudlin and unapologetic nostaligist. And, he often depicted the search for friendship in the cast of characters in one’s life better than most writers in any medium. You may find him amateurish and by all means he certainly is, but even in the most amateur of technique, or brutish sensibilities, we can find the truths of the world. 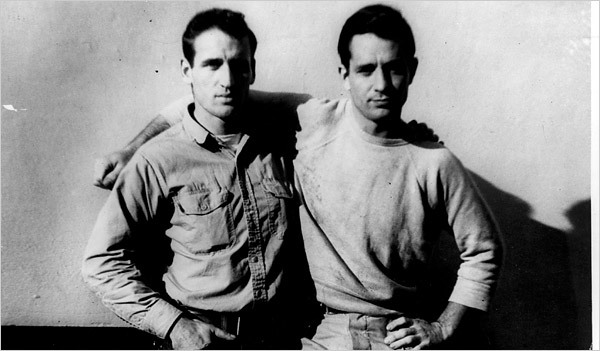 The friendship between Kerouac and Neal Cassidy as it was fictionalized or marginalized by Kerouac’s work is something that should be admired as the representation of a relationship between two people in this world, two friends, two men trying to make sense of the years and whims that rose up within them and without them. So, because of novels like these, I spent much of my youth looking for that kernel of truth in friendship, in male friendship that would answer me some kind of question. What does it truly mean to be a friend to someone? How does one get by when those friends have to travel and move on to do the different things with their lives? What happens when our adventures end? Do our adventures ever end? Is it even possible to love somebody else? These are the questions that the illusive search for friendship can raise up in your mind. And I spent much time cleaning my pool and thinking about these types of things. I found myself doing the same thing the day after this past Fourth of July because I had a variety of friends staying at my home from different levels of life: elementary school, junior high and high school, college, and post college. Some of them knew each other very well, some of them knew me very well, some didn’t and vice versa. Yet, we all got along and had a memorable time. The kind of time that sticks to your memory and leaves the details there, so, that even if you are one who loses tracks of the details to distinct places and “times” easily, you would be able to recall the year, the light and perhaps who was even there. And of course, when it was all over, when the beer and other litter had been dragged to the curb, I was there cleaning the pool, thinking about all that had happened and all of the fun that had ended. The radio played and the mercury in the temperature inched closer and closer to 100 degrees – ambition echoed hollow In my gut and I just wanted to be finished with it all and be able to swim. I wanted to run out into the shade and the swaying of the trees and the heat. After that, I didn’t know what I wanted to happen – I just wanted that. Then, a song I had been longing to hear came on the radio. It was “Mother” by John Lennon, from Plastic Ono Band. I, thinking of friends, of course thought of The Beatles and about how stories end and how we move on as I have written about before. If you have listened to Plastic Ono Band it is all about moving on and how we do it in the different areas and through the different traumas of our lives. I grew up loving the album, because when I was younger, I related to John Lennon more than any of The Beatles just like most kids do. You gravitate towards John Lennon because he was the “smart one.” All the Beatles were funny, but he had the quickest and most biting wit. He made the bold statements. He was the leader. You don’t think about the finer shades that you do the longer you spend with the Beatles: “Paul was the most melodic,” “Paul was the most natural musician,” “George’s songwriting was held back just look at All Things Must Pass,” “I agree with George’s pragmaticism and spirituality more than with anything harsh that John had to say, or simple that Paul had to say.” When you are young, you love John Lennon, because that is what time has taught us about the Beatles. 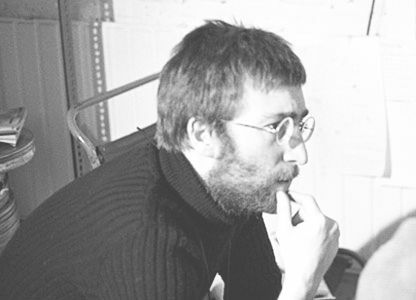 And I loved John Lennon on Plastic Ono Band because he said all the bold things, because he screamed in his John Lennon way and because he made hooks out of the syllables in his verses in that singular John Lennon/Beatles/mostly John Lennon way (just listen to “Mother” when he says “Sooo, ayyyyyeee”). However, I loved it the most because no matter what I was going through, I could listen to it and feel clean again. It was like getting a haircut for your soul. That image seems demeaning, but the sentiment is true. Whenever you go for a haircut, you go for that feeling of newness, of freshness. “With this haircut, I’m going to do something. I’m going to impress someone. Something’s gonna be different.” Whenever I put on Plastic Ono Band that is the intent that I have. From the refrain of “Mother” when Lennon says “So, I/I just have to tell you/Goodbye, goodbye” to the thrilling coda when he screams “Momma don’t go/Daddy come home” you know that he is losing the demons and whatever yours may be, you can lose them to with his screams and with the hypnotic piano and drums. Then we get to “I Found Out” where John tells whoever is listening that “I’ve seen the junkets/I’ve been through it all/I’ve seen religion from Jesus to Paul/Don’t let them fool you with dope and cocaine/No one can harm you/Feel your own pain.” And of course he throws the double entendre in there with the loaded word “Paul,” making you think just a little bit harder about what he means because he is saying it with such conviction. As the album veers from harsher commentary to the brooding slower numbers such as “Love,” “Working Class Hero,” and “Look At Me,” you get the ultimate sense of someone stripping themselves to the essentials. There are no comments on what friendship is or what love is, besides to say that “Love is real/Real is love.” This effect is refreshing since there is no overarching statement leading you in a direction. Love is real, is merely an indicator of a feeling. Because even John probably didn’t even know what it was that he was calling his love with Yoko Ono at that time. Then, of course we get to “God,” which has always been one of my favorite songs of all time because it doesn’t let you get away with anything. Now, many people may call this song merely self-important sermonizing, but I can’t stress how powerful I used to find this song and how necessary I still find it. How often to you address a statement to God that could be addressed to the earth or to something more definite, when all you are doing is trying to measure out the amount of pain or confusion you are feeling? How often to you place meaning on a false idol of any kind, God or anything else? When John lists through the names of all the things he doesn’t believe in anymore, all the icons that he is tearing down, it is timeless in a careening way of never letting yourself get consumed in the things that you have consumed your time with. It is an exercise in separation, in distance and in seeing something from a new perspective. When punk music came around, they did the same thing, in a less eloquent and less conscious way. They wanted to tear down icons because it looked cool, not because it trapped them. This is all the stuff of James Joyce. There should be no nets that trap you. All our Elvis’, our Zimmermans, our Kennedys, and our Beatles need to be overthrown at every turn because they are wait rein is in to saying “we can’t.” Those images and icons, while showing us what is possible, also indicate to us that there is something that we can’t or shouldn’t do or that we aren’t capable of doing, but we are always more than capable. So we have to get rid of what we’ve already known from time to time, we need to start over again to remember that there is only us in the end and that’s all that there ever was to begin with. That is the haircut that allows us to see what we’ve been consumed with better than we’ve ever been able to see it before. That allows us to understand what our love is; what the feelings of friendship we are longing to define are. This was supposed to be a manual on cleaning pools, but now its about cleaning something else. I guess what it’s all about is realizing that the Midwest of your youth never really existed, that no matter how many books you read, how many words you learn, you’ll never come upon that word known to all men, you’ll never truly understand how to describe the impossibility of friendship or the fathoms and blue shades of love. All you can do is remember all of the things that brought you to a certain point and then try to forget them all, try to forget the way you saw them so that you can see them in the way that they really are. Because in the end, its all about what you can accomplish and very often you can’t accomplish much without other people, but with them you can often lose yourself by forgetting what’s important or forgetting how you see them. So, you have to get a haircut from time to time – alter that identity and those identifications, if ever so slighlty, in order to keep chasing what you’ll never be able to fully capture. Actually, this was a pitch for a new TV show called Friends 2.